Bucking the trend of rising racial hatred around the world, the Australian Senate tonight took a stand against racism in Australia by voting down proposed harmful changes to section 18C of the Racial Discrimination Act. “This vote shows that Australia is ready to move on from this divisive debate. It follows last month’s decision by the bipartisan Freedom of Speech inquiry not to recommend any changes to race hate laws. The message to Prime Minister Turnbull is clear: this conversation is over. He needs to get on the right side of history, and firmly put an end to the debate around racist hate speech,” said Tammy Solonec, Indigenous Rights Manager at Amnesty International Australia. The proposed Bill would have changed prohibited conduct from that which causes insult, offence or humiliation on the basis of race or ethnicity, to only conduct that harasses or intimidates someone on that basis. The Bill also proposed that conduct be judged according to the standards of a member of the general Australian community, rather than by the standards of the group experiencing racism. One in five Australians experience racism, which has devastating impacts on mental health, physical safety, and the ability to participate in school and work. 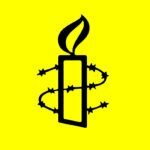 Amnesty International applauds those Senators who voted for an Australia that is accepting, that is diverse, and that does not tolerate racist hate speech. “The eyes of the international community are on Australia’s Indigenous rights record – and that record is looking very tarnished indeed,” said Tammy Solonec.